While designer Timothy Whealon may have begun his career on Wall Street, his love of the fine and decorative arts soon led him to a yearlong arts course at Sotheby’s in London. Following another training program at the auction house in New York, an art related conversation at a charity event dinner serendipitously led to his first design job. Another soon followed and a new career path was born. Look at Timothy’s varied portfolio and you will instantly be struck by his ability to effortlessly meld art and interiors with a fresh and sophisticated eye. And nowhere is his chic and livable approach to design more apparent than in his own one bedroom apartment on Gramercy Park. Tag along with Susanna Salk and me for a behind the scenes visit with Timothy in his perfectly appointed penthouse in New York City. Timothy’s apartment may be small, but it is a testament to his talent that it feels as chic, gracious, and welcoming as many of the larger homes he designs. Thoughtful architectural details, custom craftsmanship and an approachable mix of artful elements are what characterize much of Timothy’s work. 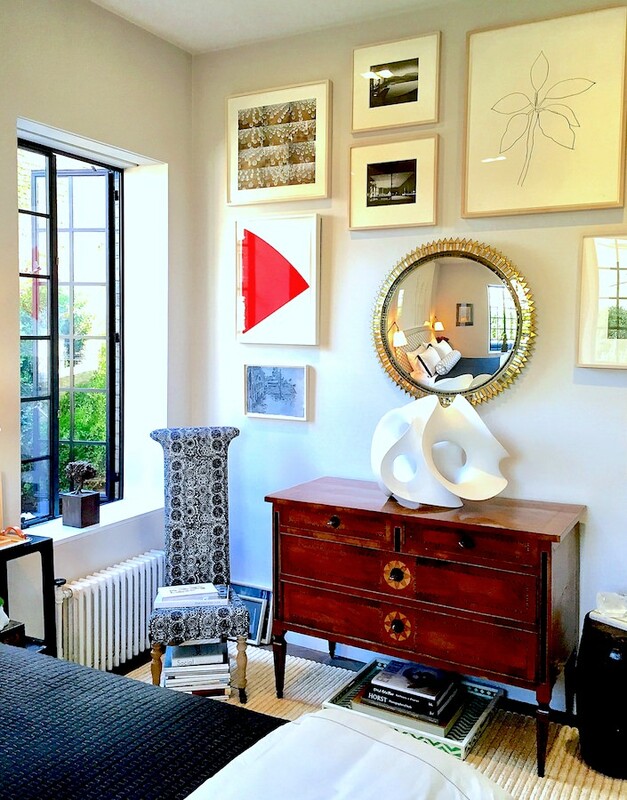 You may remember his beautiful Kips Bay bedroom, from several years ago where he channeled his love of layered English country houses with a more modern edited sensibility. 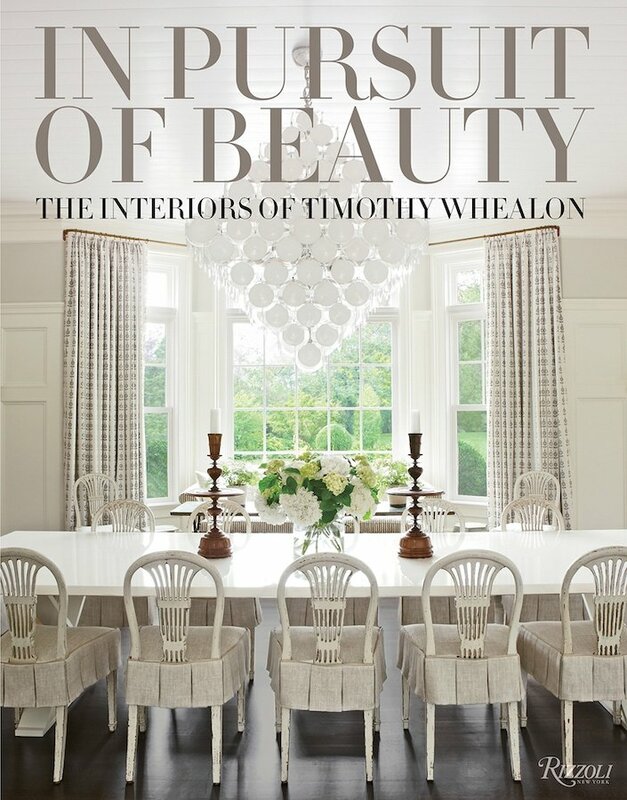 And throughout his book, In Pursuit of Beauty, you can see how Tim translates the past for with a fresh outlook for contemporary living. And it’s the same in his apartment where classicism meets graphic modernism with a soupcon of French artist’s garret vibe – très chic without any pretension! 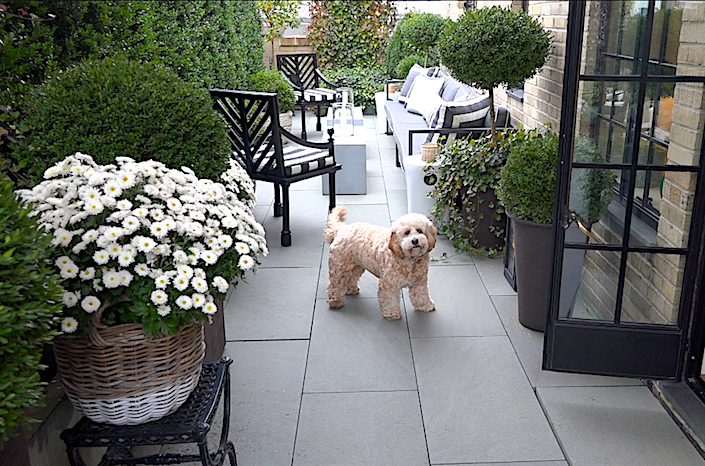 We know his adorable pup Ollie enjoys it too! to La Foce, below, a hand knotted design inspired by the stunning and storied gardens of the famous Tuscan estate, each design is worldly yet approachable. Made with all natural materials, such as wool, silk, abaca and jute, the versatile collection is as stylish and livable as Timothy’s interiors. As he explains, “My patterns can make a big statement in a room or be used as supporting players. They’re refined and sophisticated but simple, really.” And as we know, simple is the hardest to get right. So thank you Timothy, it such is a pleasure to share your singular sensibility! This entry posted in art, At Home with, interior design, Quintessence video series, video. Entry Tags: antiques, art, At Home with, In Pursuit of Beauty, interior design, Timothy Whealon, Video Bookmark the permalink. Thank you for posting — what a beautiful space. I have always wondered what it looked like! I’ve seen his roof deck before, always admired it, but never knew the source. It’s just stunning! Thanks so much for connecting this beautiful living space with the person who designed it. There is a wonderful harmony between the interior and exterior spaces. A very elegant and livable home! Tim, your apartment is beautiful, congratulations! I love this space! Chic and full of interest, yet open and comfortable…thank you, Stacey, your feed is always good for a shot of inspiration! I love this apartment. So elegantly simple. Does anyone know the title of the book in this video with the red trees on the cover. Very interested in this book. Wow! So much talent from one man! So awesome to see inside his beautiful apartment as I have always wondered what it looked like from his Instagram photos. So great to see Ollie too! 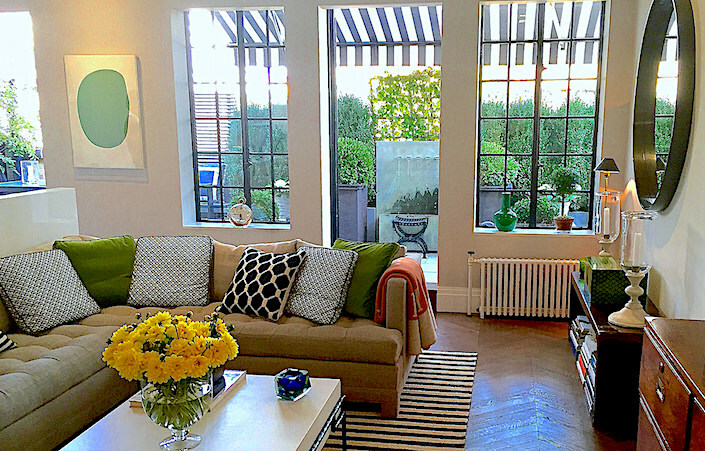 Great article and inspiring home décor! I really love how these designs really give importance to vases: here in Murano we have a long tradition of glass vases, so whenever I see these object valued in home décor I feel very happy. 87 queries in 0.690 seconds.